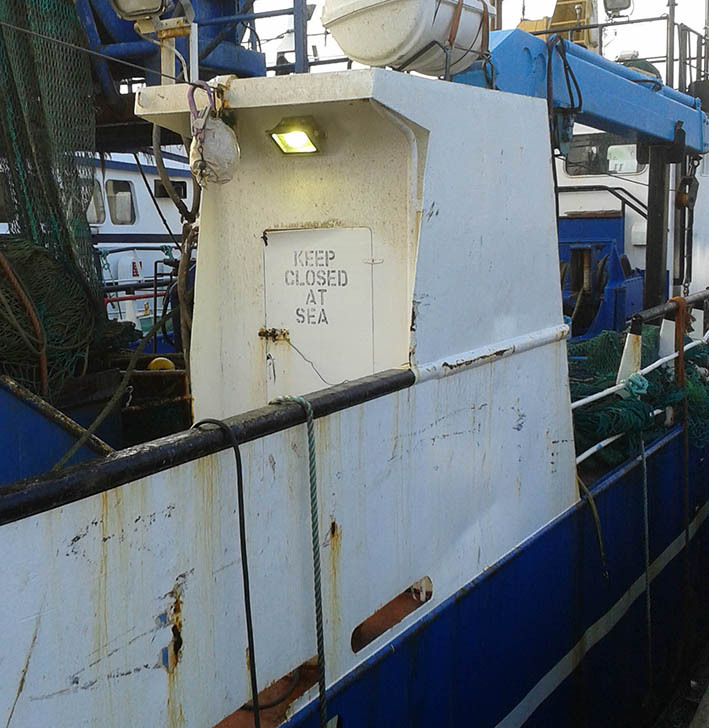 KEEP CLOSED AT SEA said the sign on the door of the fishing boat berthed in Howth’s harbour. I took mental note of it feeling it was a coded message of some sort which I had to pay particular attention to, which I did. Those four words have been playing in my mind ever since as numerous images of boats and of vessels of different kinds have been appearing in my art work in recent months. I know that the sea in question is a metaphor for life and that the vessels I keep drawing and painting are lifeboats of a kind that take us on particular journeys.They are boats in which we can travel safely even in rough waters provided the door is kept closed while we are at sea. A safe place and space, a particular vessel well designed, crafted and beautifully decorated; an Art vessel. So as I criss-cross the oceans of imagination and facilitate others in doing the same I can’t help thinking that art can indeed be a lifeboat for many individuals or communities, people living in particularly stressful or dangerous situations. People who simply find solace in art making of every kind and know how important is to make time to take trips of the imagination to strange shores and play and work with the images and symbols that come along unexpectedly: those intriguing and fascinating ‘coded messages’. Again and again the arts have been the lifeboat that has made it possible to bear ugliness, pain, sorrow connecting you to some larger beauty. I Never Saw Another Butterfly is a collection of works of art and poetry by Jewish children who lived in the concentration camp of Terezin during the Second World War. Their artwork was shown in one of the first exhibitions when The Ark, the cultural centre for children in Dublin opened many years ago and I remember being very moved by it. 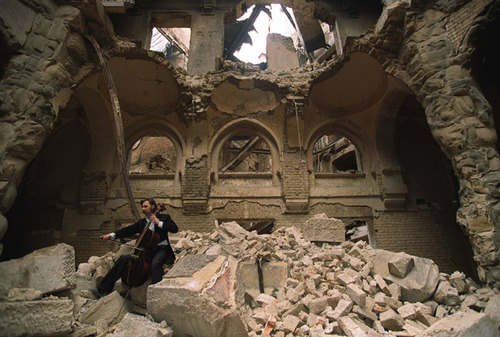 The cellist Vedran Smailović, regularly played his cello in ruined buildings during the siege of Sarajevo, performing Albinoni’s Adagio in G Minor. Every day, everywhere around the world individuals and communities of all kinds get together and embark on journeys that can heal, excite, inspire and nourish. Everywhere around the world Art’s vessels are berthed waiting for you to get on board, close the door and sail.